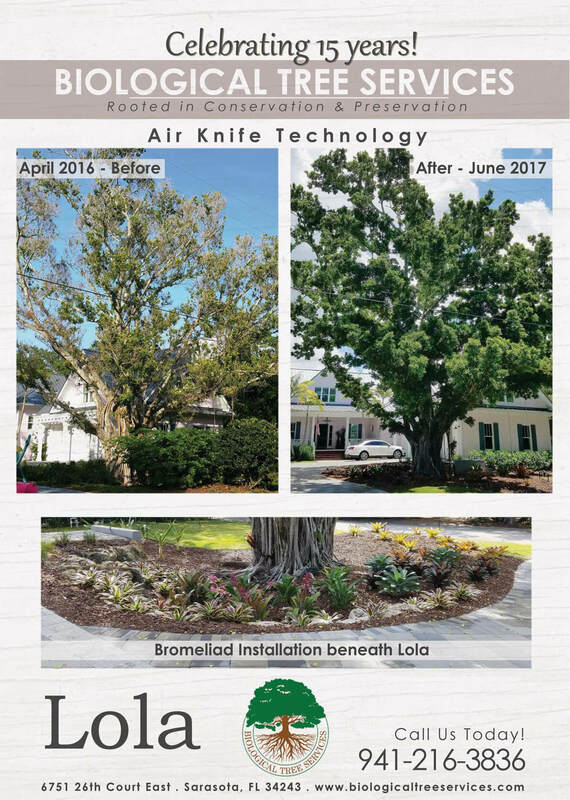 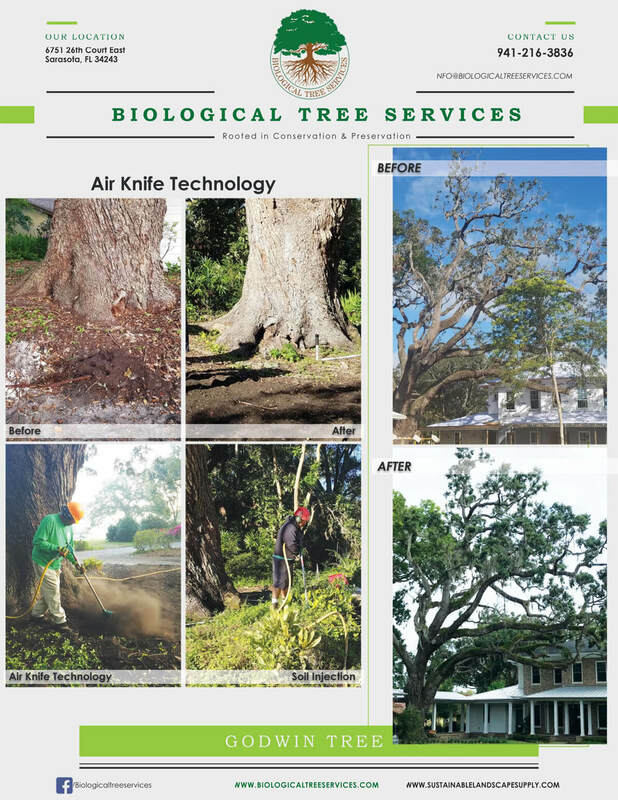 Tammy Kovar, CEO of Biological Tree Services and ISA certified arborist, is pleased to announce the completion of the project to revitalize the historic live oak “Wedding Tree” at Marie Selby Botanical Gardens. 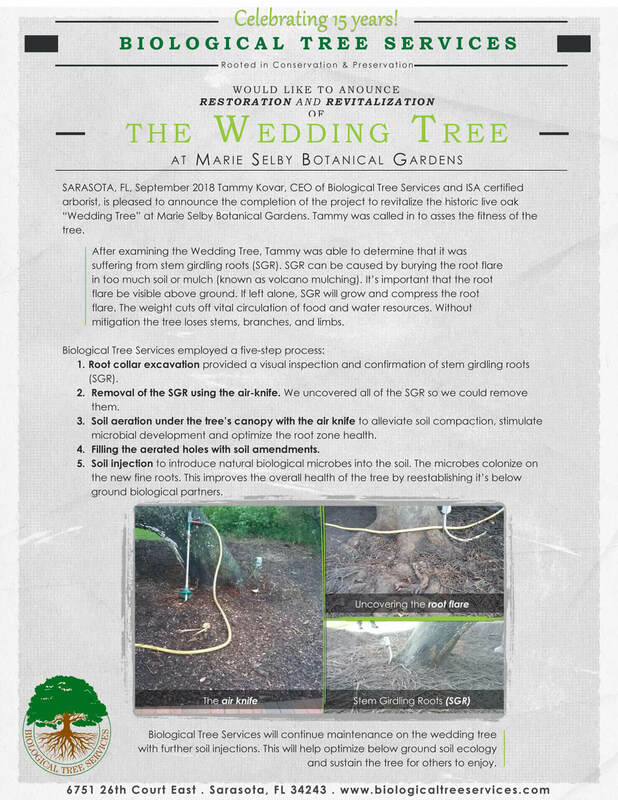 Tammy was called in to asses the fitness of the tree. 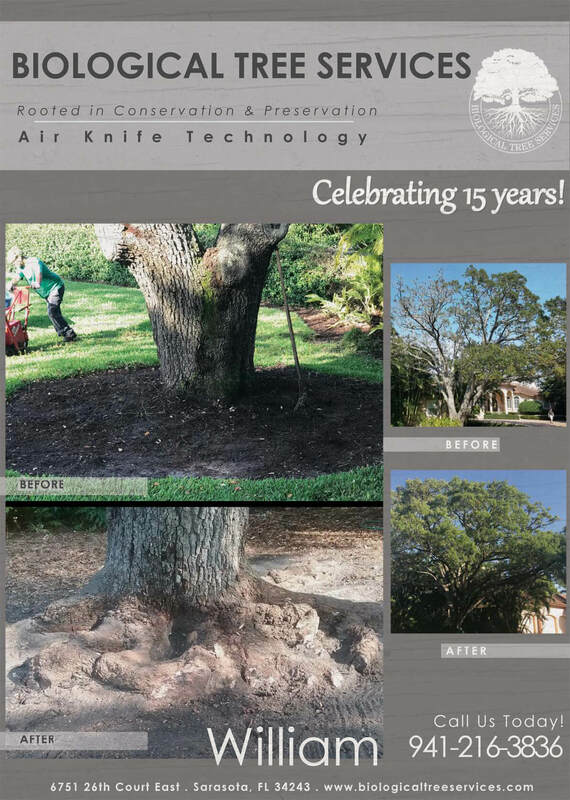 Our new Air Knife Technology used to heal damaged roots!